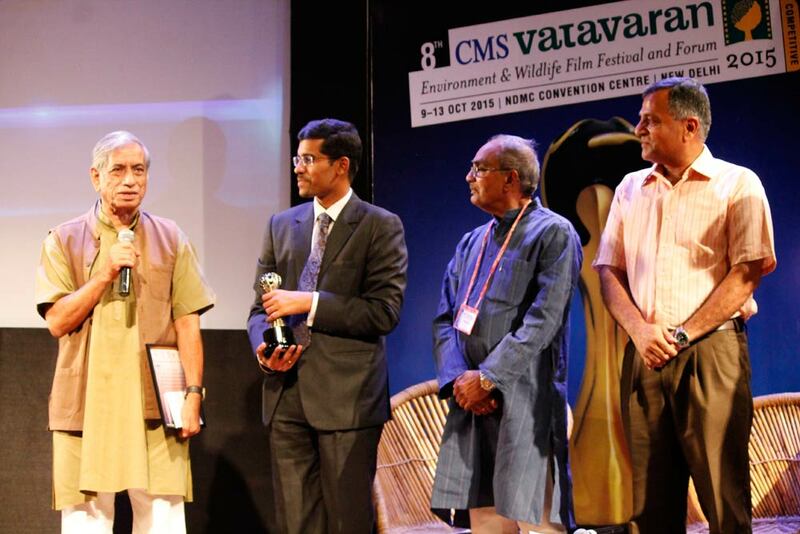 CMS VATAVARAN’s top awards- Prithvi Ratna and CMS- YES BANK Prithvi Bhushan were presented to Mr Himanshu Malhotra and Mr Anupam Mishra respectively at a gala award ceremony on October 11th at the NDMC Convention Centre, New Delhi. 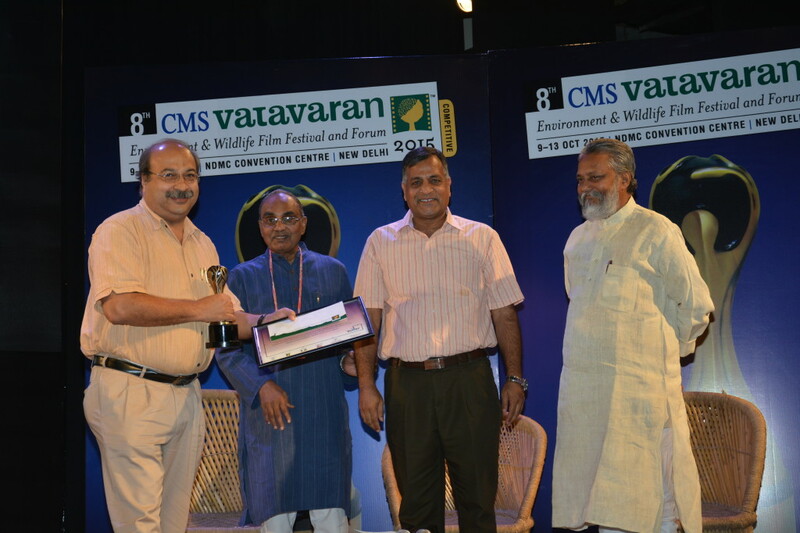 The coveted CMS VATAVARAN Prithvi Ratna Award has been given since 2003 by CMS VATAVARAN to eminent filmmakers for their outstanding contribution to nature and conservation filming throughout their career which has resulted in bringing change in perception, practice and policy with regards to environment. Previous Awardees of Prithvi Ratna have been Mike Pandey, Naresh Bedi, Shekha Dattatri, Krishnendu Bose and Ashish Chandola. Prithvi Ratna- The winner of the 2015 Prithvi Ratna Award is Mr Himanshu Malhotra. Himanshu Malhotra, is a documentary filmmaker specialising in environment and wildlife filmmaking. Over the years, Malhotra has emerged as an expert director and cameraperson and is considered an authority in conservation, ecology and health issues. His film on animal rights has been internationally acclaimed. This film earned him the Rishab award. His footage on circus animals was used in the campaign to ban the use of animals in circuses in India and was part of a film done by the BBC. He has also emerged as an international cinematographer and has shot for Micheal Tobias for his films entitled "Third World War" and "India 24 hours" and also for the Royal society for the Prevention of Cruelty to Animals (RSPCA) England. Prithvi Bhushan- Initiating the first ever lifetime achievement award in the Prithvi Bhushan is YES BANK. And the 2015 CMS YES BANK Prithvi Bhushan Award has been conferred on Mr Anupam Mishra. He is a journalist, environmentalist, and water conservationist who works on promoting water conservation, water management and traditional rainwater harvesting techniques. The CMS YES BANK Prithvi Bhushan Award has been awarded to Mr Mishra for his works on promoting water conservation, water management and traditional rainwater harvesting techniques are unprece dented. Also, his publications on the work of communities organising themselves, to harvest and manage water, continue to inspire several individuals to take up work on setting up and reviving such time-tested water harvesting systems.